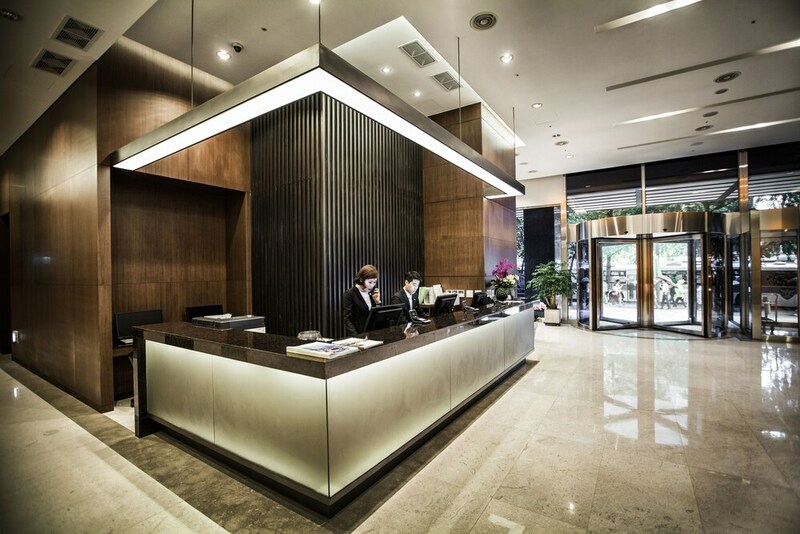 Located in Jung-gu, this hotel is within a 10-minute walk of Namsan Park, Seoul City Hall, and Myeongdong Street. Gyeongbok Palace and Gwanghwamun are also within 2 mi (3 km). Along with a restaurant, this hotel has a health club and a bar/lounge. Free WiFi in public areas, free self parking, and a free area shuttle are also provided. Additionally, a coffee shop/café, a snack bar/deli, and a sauna are onsite. All 252 rooms offer free WiFi, iPod docks, and LCD TVs with satellite channels. Other amenities available to guests include room service, free weekday newspapers, and free bottled water. Fraser Place Namdaemun features a health club and a sauna. The hotel offers a restaurant, a coffee shop/café, and a snack bar/deli. A bar/lounge is on site where guests can unwind with a drink. Wireless Internet access is complimentary. This 4-star property offers access to a business center and meeting rooms. This business-friendly hotel also offers a rooftop terrace, coffee/tea in a common area, and concierge services. Complimentary self parking is available on site. Fraser Place Namdaemun has designated areas for smoking. Panorama Lounge & Bar - This bar serves lunch and light fare. Reservations are required. Open daily. Rollaway/extra beds are available for KRW 44000.